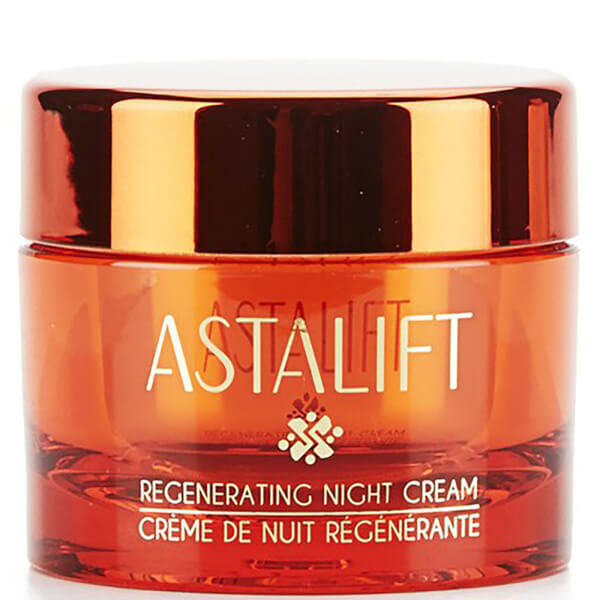 Experience the benefits of Astalift Regenerating Night Cream, a rich anti-ageing formula that utilises the red pigment 'astaxanthin' to combat free radical damage and boost collagen production. 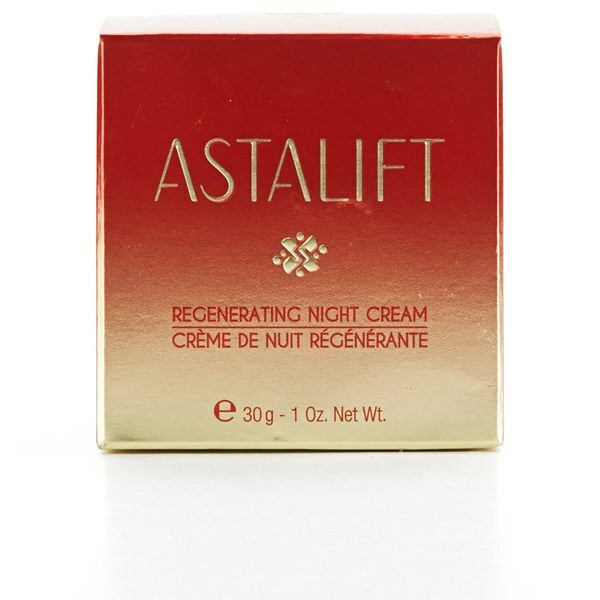 Created by FUJIFILM, Astalift is an award-winning beauty brand that uses advanced antioxidation technology, similar to that used to prevent colour fading in photographs, to minimise the visibility of freckles and skin ageing. Expertly sealing moisture into the skin, the night cream works to prevent moisture evaporation and helps to regenerate resting skin overnight – a time when skin is most receptive. Ideal for those prone to dry, rough skin, the formula will leave your complexion smooth and resilient with reduced fine lines and wrinkles. Expect younger, healthier looking skin with a luminous glow come morning. - K.N. 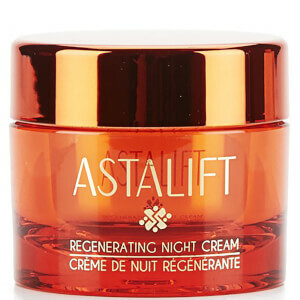 Astaxanthin provides natural protection against free radical damage, boosting collagen and elastin levels to reduce sagging and moisture loss. FUJIFILM has taken its expertise of nanotechnology to develop colour in film, and applied it to the lotion to allow high concentrations of nourishing ingredients to be penetrated into the skin. Experience radiant, younger-looking skin. After Purifying and Renewing each night, using the spatula provided, take one scoop and gently apply to the face. With your fingers, gently smooth the cream in an outward movement for about 30 seconds. Apply a second coat to areas of concern, such as around the mouth.